Cavemen made fire by quickly rubbing two sticks together. They didn't have language, but they figured out that motion creates heat. Reebok Men's RB8835 Green 8-Inch Dauntless Non-Metallic Composite Toe Boots are built around this simple, scientific fact. Motion cre ... (see full details) (see specifications) #RBKRB8835. Cavemen made fire by quickly rubbing two sticks together. They didn't have language, but they figured out that motion creates heat. Reebok Men's RB8835 Green 8-Inch Dauntless Non-Metallic Composite Toe Boots are built around this simple, scientific fact. 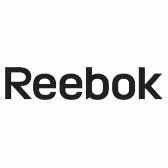 Motion creates heat, so these Reebok boots are designed to be cool and lightweight. The sage green uppers of these men's boots are 8 inches high, but the length doesn't make them hot. These tactical boots are designed to be protective, not uncomfortable. Suede leather forms a flexible, supportive framework around the abrasion-resistant ballistic nylon panels. Soft suede is the perfect match for the durable, lightweight nylon. The ballistic nylon material is breathable. That means heat from inside these composite toe boots naturally flows outside and away from your feet. Meanwhile, cooler air flows in, keeping your feet cool and comfortable. Side zippers allow you to get in and out of your Dauntless boots with ease. Use the lace-up front to customize the fit. Once you’re in, your feet will be dry and feel comfortable. The lining is made with lightweight, abrasion-resistant nylon mesh material that wicks moisture away from skin. You’ll stay dryer and feel better. You’ll even smell better. (Well, up to a point. You know who you are.) An aegis microbe shield kills odor-causing bacteria to prevent bad smells before they begin when you wear these safety toe boots. The removable, cleanable insoles are also made to be moisture-wicking. They’re vented to promote cool air flow and shock-absorbent to take the pain out of your steps. Meanwhile, the dual-density outsoles give feet even more support and cushioning. Lightweight injected EVA foam softens step, while shock-resistant rubber takes the bite out of impact while your wearing these moisture-wicking boots. Side air vents keep air flowing throughout the design to naturally cool feet and prevent sweat. TPU bruise plates protect the design from scuffs and wear. TPU, thermoplastic urethane, has the qualities of plastic and rubber. Composite has the qualities of steel, only at one-third the weight. Unlike steel, composite won’t conduct electricity. It will protect your toes from dangerous impact and compression, so well in fact, it meets ASTM F2413-05 standards for safety. Composite is non-metallic, like the rest of these green boots. The entire design is completely security-friendly and made without metal. Reebok Men's RB8835 Green 8-Inch Dauntless Non-Metallic Composite Toe Slip-Resistant Boots keep your feet cool, even when they’re in motion. 4 out of 4 people found this product review helpful. I got these from WP last year, but didn't start wearing them until I got a job delivering ice at the end of March, and now at the end of October, 7 months later, these boots have reached the end of their useful life. The biggest plus is that they had the requisite composite toe, and that they were actually fairly cool for big boots. The side zips were handy for sure, but you still have to tighten and loosen the laces. These were NOT comfortable out of the box! Dr Scholls gel work inserts topped with Super-feet copper insoles did the trick, but added about $80 to the cost of the boots. While the uppers are still in good shape, the fact remains that I walked the soles off of these things in a crazy short period of time, and these are not a re-sole-able boot. Keep in mind that while I do move a lot of weight, I also spend 60% of a 12hr day driving a truck. I'm getting Carhartt Pac Boots for winter, and will not likely purchase a new pair of these once it warms up again. Most comfortable pair of work boots I have ever owned. Just bought my second pair!!! I highly recommend these to any one looking for superior comfort and performance.They come in all shapes and sizes too. I usually wear a 11.5 in shoes. For this Reebok boot I needed to return for a size 11. This is the second pair I’ve purchased off of Working Person's Store website. I love the side zipper. This boot is very light weight for composite toe. I would def purchase this again in the future. I’ve actually have a few friends that will be ordering this boot too. Reebok Boots: Men's RB8835 Composite Toe Dauntless Tactical Work Boots is being added to your cart.